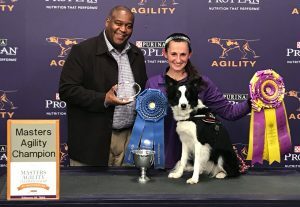 Jessica Ajoux and her Border Collie, Famous, won the WKC Master Agility Championship in February. She shares her insights on how a dog’s structure affects its performance on the agility course. This February was her first time winning the prestigious WKC competition, but Ajoux started in the sport of agility as a teenager. Her mom drove her to her first classes and agility shows, which were scheduled around school and homework. Ajoux began her agility competition with a mixed breed dog who she says taught her a lot and was very forgiving. When she graduated from college and was ready to begin competing at the next level, she began her search for a Border Collie. As Ajoux progressed in her agility training, competition and understanding of the sport, she began to notice that certain dogs were better able to handle the unique athletic requirements of the sport. And she started to see correlation between their underlying structure and their actual ability. “I train a lot of agility dogs and I watch a lot of dogs do a lot of athletic things,” Ajoux said. “I have a pretty good eye for watching movements and especially related to agility. What I find is that the Border Collies are very athletic and there’s a lot of variation even between the individual dogs. Fame happens to be an exceptionally athletic dog … She has a long neck, a long back, she’s very light and she is able to accelerate and decelerate very well which I think is the key to agility. It’s not just about speed, right, they can run very fast in a straight line but that doesn’t mean that they’re able to slow down and turn, right? They have to be able to downshift well. 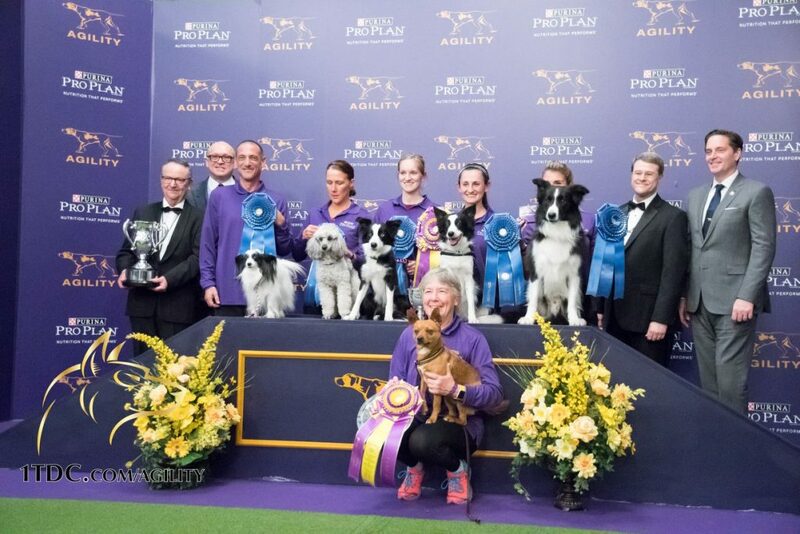 Agility competitors and breeders are producing what Ajoux described as “sport dogs” bred specifically for the conformation needed for agility. While Border Collies are very successful, she noted, they are originally bred to herd sheep, not jump. While the breed’s inherited speed, dexterity, focus and drive make them a good choice for agility, the functional structure changes some with the particular application of the sport. Ajoux talks about the unique structure of the Westminster Kennel Club Masters Agility Championship. 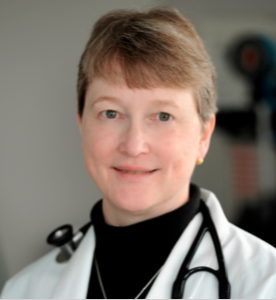 She even adds details on injury prevention in canine athletes. Listen to the full length podcast or read the full transcript below. We hope you enjoy this fascinating conversation on the actual application of form following a specific function. And don’t miss Allison Foley’s excellent discussion about showing your dog’s bite to the judge! Pure Dog Talk is the voice of purebred dogs. We talk to the legends of the sport and give you the tips and tools to create an awesome life with your purebred dog. 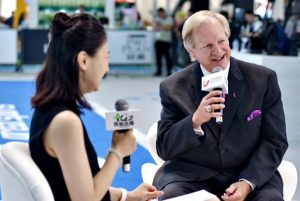 Strong supporters of the American Kennel Club, we talk about everything! From conformation to preservation breeding … from competitive obedience to fieldwork … from agility to therapy dogs and all the fun in between, your passion is our purpose. Tremendous thanks to our sponsor Royal Canin. Every day more top breeders are choosing Royal Canin. Join the winning team! LAURA REEVES: Welcome to Pure Dog Talk. I’m your host Laura Reeves and I’m joined today by a pretty Famous young lady by the name of Jessica Ajoux. She is the Westminster Kennel Club master agility championship winner for … how many years? JESSICA AJOUX: This is my first time actually. LR: Wow – very, very cool! So give us the 4-1-1. We love to give people encouragement, ideas. How did you get where you are today? JA: So I’ve actually been doing agility for quite some time. I started when I was in still in high school. My mom actually had to drive me to my first show for sure and my weekly lessons which of course weren’t allowed to be on school nights – only on Friday evenings. So I think my parents might have thought I was crazy when I said I want a dog and I want to do something with my dogs. And I found agility initially on TV. I had regular dog training with our family dog who is just a mixed breed that we had adopted from a pound because I wanted a dog. And I saw, on TV, agility and I’m not joking when I said the skies parted, angels sang, <laughing> and I went, “Oh my goodness I’m going to be doing that!” And I have been doing that since that particular day about 1999 when I started in agility. LR: Wow that is a great story. I love that Jessica! So did you start with a Border Collie or did you seek a Border Collie for this or did you go to a Border Collie because, “That’s what everybody has – I can win with that,” or, how did that happen? JA: One time a friend of mine actually let me run one of her Border Collies and that was it. And I knew that that was a breed of dog I was going to pursue. They’re really quite the top for the large dogs in agility. They can’t compete at the lower heights really because they obviously don’t measure in. But I just find that they’re the most competitive dog. That doesn’t mean that they’re easy – getting a Border Collie doesn’t solve all the problems. They’re special. But you have to actually like the breed too you can’t just think of getting a Border Collie for agility because they’re special. But I didn’t end up getting my first Border Collie of my own until 2007 because I went to college and at that point didn’t have a dog and turned out that’s not a problem … other people will lend you dogs so I was able to continue running quite a bit of agility through school. And when I graduated in 2007 I got my first Border Collie of my own. And she’s still with us today. She is now 11 but she’s still kickin’! LR: That’s fabulous. So when you got your first Border Collie you’d been clearly thinking about this for a while. Did you go and seek a specific breeder, a specific line, a specific – anything like that. What was your path to that particular dog? JA: So I grew up in Southern California and I met a good friend of mine who also did agility and her mother had been doing agility. Her name is Kate Moreau and her mom bred Border Collies so I got to grow up watching these contact point Border Collies. So my first natural inclination was to get a Border Collie from her because I knew her, I knew her dogs, I’d seen litters grow up, I was able to help raise some of them … so really that was who I was going to get my first dog from. LR: So that’s your old girl and that I’m thinking is not the dog you won the championship with ..
JA: Right. Now, Famous is actually my 4th Border Collie that’s been my dog so I had the first dog, Psyche, she was from the breeder in California and then I rescued a Border Collie from Glen Highland Farm Rescue. I had worked with them a little bit and just fell in love with this dog and she came to live with me. Then I had another dog, Streak, from a different breeder, and now I have Famous. And I have two more Border Collies since then too so they just seem to multiply like potato chip potato chips <LR: Potato chips, right?> One to two is a big jump and I found that once we get beyond 3 or 4 it just doesn’t matter your life has gone to the dogs as they say! LR: Absolutely true. So talk to us a little bit about this particular competition, right, because it’s very similar to a regular agility trial but more – is that accurate? JA: Yeah, that’s accurate. So I think Westminster somewhat has two parts; It technically is the local AKC show so anybody could enter. They only put the restriction that you already had to have your masters titles and jumpers and standard. So my younger guy could not have competed because he doesn’t have the level of title yet – but Famous does. So they only put the master level classes but anybody can enter so long as you’ve sent your entry in on time and got there within the first couple of hours of opening – it’s rather difficult to get in. LR: That’s tough to get into that competition right? Because everybody wants to do it. JA: Yeah it’s getting more and more popular and I think after this year it’s only going to get more popular. More people from across the country are actually coming out. While there are obviously a lot of local people there from New Jersey, Pennsylvania, New York, there are quite a few people from across the whole country who came. And I think you’re going to see a trend that more and more higher level competitors from across the country are going to come out. So there’s the two runs and then they also have a finals run which is not sanctioned by AKC, so winning that run doesn’t necessarily do anything. But it’s a pretty cool event nonetheless to win! And how they selected the dogs who got to compete in the finals was a combination of cumulative scores between the standard run and the jumpers run, and then they also did some breed selection as well. So the top four placements in each jump height, regardless of breed, were automatically in the final. And then they picked the highest scoring other breeds, so that’s where you got the great diversity that’s in each jump height. 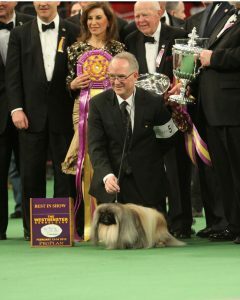 So even though there might have been … <inaudible> … both of us, myself included, were 1 and 3 and even though there were other Border Collies that might have scored higher than some of the other dogs that were in the finals, they weren’t gonna let any more of the same breed in the final. LR: Got it. So they’re trying to make sure there’s representation from every breed. JA: Absolutely. I actually had two dogs in the 20-inch finals. I had Famous and I also ran a German Shorthaired Pointer, who belongs to a student of mine. I’ve been running her for close to two and a half years and she’s quite a successful agility dog so we actually figured Westminster would be a very good showcase for her because she ran both runs clean and, being not an Australian Shepherd or a Border Collie, which is what the 20 inch class tends to be dominated by, I figured she had a very good shot of making the finals and she did and ended up I think placing 6th overall. She did quite well. She’s not got the same speed and the environment was a lot harder for her to manage but I was very proud of her because she showed what she can do and she had a good showing I think. LR: I raise Wirehaired Pointers and I have several people with my dogs who are very, very successful in agility so I know that Short Hairs, Wire Hairs – that type of breed – we have the speed, we have the intensity, so I love that you are able to showcase that because I think they are breeds that more and more people will enjoy in that sport. JA: Absolutely. She’s wonderful she’s a great agility dog. I actually find her – not that Famous isn’t athletic – but Bailey is a German Short Haired Pointer. She’s fantasticly athletic and she’s quite forgiving to me. If I were to call her in the air she goes, “All right I’m coming.” And she doesn’t hit the bar whereas Famous would be much more likely to hit the bar and say, “Nope, you weren’t perfect. That doesn’t work.” <laughing> She’s a very talented dog. LR: Very cool. So my understanding from my associates that spoke with you at the Garden is that you talked a lot – and this is a good segue – you’re talking about the athleticism … talking about the correlation of structure and performance. So give us your spin on that because I think this is really fascinating. JA: Sure. First, I’m not an expert on structure or anything, but I just train a lot of agility dogs and I watch a lot of dogs do a lot of athletic things. I have pretty good eye for watching movements and especially related to agility. What I find is that the Border Collies are very athletic and there’s a lot of variation even between the individual dogs. Fame happens to be an exceptionally athletic dog … she’s quite light … She’s about 18 3/4″ tall but she doesn’t weigh very much. I think when she’s heavy she’s just over 30lbs and if she’s in her perfect shape she’s just under. She has a long neck, a long back, she’s very light and she is able to accelerate and decelerate very well which I think is the key to agility. It’s not just about speed, right, they can run very fast in a straight line but that doesn’t mean that they’re able to slow down and turn, right? They have to be able to downshift well. I have another Border Collie, my younger male, and he’s a lovely dog but he’s a little heavier boned. He’s a little straighter in the front and he doesn’t have the ability to what I describe as get underneath himself. So what that means is when he’s running he runs very fast, but he’s always a little bit falling forward – too front heavy – all his weight is in the front and he can’t get his rear underneath him to decelerate very well. So he has a much harder time in agility because if you run at a jump at full speed and you’re expected to turn it’s very useful to be able to rock your weight back, help the rear under, have some flexibility in the spine to do that. And it’s just much harder for him and that’s simply based on how he’s built. You can train, you can try to help them with their weaknesses, but ultimately how he moves will never be the same as how Fame moves for example. And it’s very predictable, based on the dogs that they’re related from and that type of thing. And I think what I have to be careful with the dog like him, it doesn’t mean he can’t do agility, it just means I need to be mindful of how much I do with him because I don’t want him to get injured because I’m over training him. I don’t think his longevity will be as much as Fame. Fame is actually 7.5 years old. That’s not old, but that’s also not young. And she’s going as fast as some of the 3 year old dogs who are just starting their careers. So it’s definitely a correlation between how easily they can move and that it’s very structure based. LR: I think that is fascinating and I think that a lot of our listeners do conformation, so our breed standards are written for many of these breeds. Certainly not all of them obviously, but for many of them – Border Collies, Wire Haired Pointers, Short Haired Pointers – they’re written to do a job and to have the dog be able to do a job that involves running and jumping and flexibility – all of those things – having a job that meets that standard, you’re saying, based on experience, makes them more able to do this job (agility) which has similar types of requirements. JA: Exactly. I think for the Border Collie, we’ll see a lot of variation and my Border Collie doesn’t exactly look like what you would see in the breed ring. But Border Collies weren’t made to do agility. That’s not with the breed is “supposed to do”, right. They’re supposed to herd sheep. And Optimus, he’s been on sheep, he has a keen eye, he’s very smart, he’s very level headed, and it’s not important that he be able to jump and decelerate. It’s just important that he have a steady gait and natural ability to, yes, slow down. But it’s not that important with the jumping because that’s not what Border Collies are supposed to do. So I think you’ll see more variation in the agility Border Collies are almost sport bred because now we’re focusing on trying to make a dog that is able to jump and turn and slow down. They weren’t made for agility they just happened to be very talented at it. You’ll see more variation that way, too. LR: I have heard other people say, like I said my dogs do a lot of things and agility. I know nothing. My dogs know lots. I know nothing but I have heard this comment before. This idea of purpose bred dogs, purposely bred for that particular sport. And they are designing, if you will … creating … breeding a better agility dog. If that makes sense. JA: Yeah, 100% and Famous comes from a breeder who is breeding agility dogs. Obviously she’s very successful and the male, Optimus Prime, he’s not. He’s from a farm. I was going in a different direction and mostly the reason I wanted him was I’ve met dogs related to him and I loved their brain and I 100% got the brain that I wanted. He’s very kind, very level headed, and sometimes in Border Collies that’s a little harder to find. But I’ve got a little of the disadvantage with his build and it just is what it is. And I think it’s important that people know about because one of the saddest things I see is people getting upset at dogs and their performances because they’re not “doing what they want”. Even though training has a huge part of it I’m never going to be a professional basketball player. I’m not built to be – it’s not going to happen. Right? So you have to be realistic with what they can and can’t do. And again like I said I’m expecting him to be a very good agility dog. I just need to be mindful about it and perhaps he won’t be able to compete for a long period of time at the top of the sport at the high jump heights. He might be able to do it for a short time. He might not be able to do it at all. But I’m going to find the right place for him in agility. Does that make sense? LR: I think that absolutely makes sense and I think it’s important for our listeners who are either just getting started in agility or are thinking about getting started in agility with whatever their breed is, to understand what is actually involved. And I think that your description is really, really awesome talking about the deceleration and acceleration and flexibility. I think flexibility is something a lot of people lose sight of because like you were talking about the dog is literally turning in mid-air. JA: Yeah, they’re trying. It’s difficult for them to do and it’s actually – if they’re going to turn they mostly turn on the ground before or after the jump. Very few seem to really turn “in the air” but it really helps them if they’re able to modulate their speed as they’re approaching a jump or say approaching the A-frame. The A-frame’s steep! It’s 5’7″. And if they run at full speed it’s like “splat” into a wall and that’s not good for their shoulders. They really need to slow down and ascend the A-frame as opposed to smashing into it. But some do and yes, again, a lot of it is training and how they’re wired up stairs. You can’t make a dog cautious if they’re not wired that way. Some people are daredevils and some people are not. JA: But what I found is dogs tend to do what is the easiest for them to do. So if they are smashing into an A-frame it could be because it is difficult for them to rock their weight back and go up it, and that would mean you’d have to train it a little bit more in order to do it. LR: Wow that is really, really great stuff. And talk a little tiny bit about preventing injury. I mean certainly this is a sport, as I say, I’ve had dogs running and you’ll turn up with a cruciate problem or you’ll turn up with this or that … can you make those kind of correlations like what you’re talking about between structure to do this particular sport and injuries as you’re competing? JA: Sure. So, you know, it is a sport and it’s a rough sport on them and even for the weekend warriors sometimes I feel that those dogs are in as much risk of injury because if they’re not doing anything all week and then on the weekends or once a week they’re running obstacle courses they’re probably going to get injured at some point because they’re not in physical shape to do it. I know dogs tend to not show us that they get hurt but they can and you’ll see it right away, or at least a trained eye will see it in agility because it will change how they jump or they’ll stutter in front of an obstacle or they’ll start to refuse the weave poles. So there are some big tells because it’s a physically demanding thing. To keep them in shape, obviously there’s a lot of conditioning and there’s more and more people that are dedicated to dogs’ physical therapy specific to sport. So I take my dogs to some of the best people I think in the country, Advanced Canine Rehabilitation. They happen to be in New Jersey and I live very close. I may never move away simply for that reason! <laughing> If they can obviously help heal when there are injuries and such but regular maintenance goes a long way too. So if I see anything off I take my dogs in and they can see is it an injury, is it just that something was off, and they’re able to prevent the problem from becoming more serious. So that takes a lot of viewing but as far as related between structure and the injuries that’s 100% but I am not schooled enough to know what exactly. Like I can’t look at a dog right off the bat and say oh because of his shoulder layback you will get more of this. I think down the road I’ll be able to see it more. But what I’m starting to see and especially watching with this young dog of mine and I’m trying to be able to predict if he’s going to have a problem what is it likely to be. So for example with experience with Fame … she’s stayed sound over the years obviously but it’s not come for free. For sure not monetarily free – there’s been a lot of money spent on keeping this dog in good shape and rehabbed appropriately when she’s been injured. But what tends to happen to her is in her thoracic spine and then lower spine right where the spine is no longer protected by the rib cage or just finishes about there … If she gets tight or if something goes out, that is the spot. And that’s because she has a lot of flexibility. She’s like a cheetah. She can really bend her back – she has a rounded group and get her rear under her. That equals a lot of speed but all that mobility lends itself to more injuries in that area. So I know about it. I know what the signs looked like and that’s where we really focus our attention. I know for my young dog that will not be the place where he’s more likely to get injured. For him it’s going to be the shoulders because he’s more front heavy and he’s absorbing a lot of the impact on the front. So I think it’s more if you could be able to predict, then some about of course is experience and then knowing where your dog’s strengths and weaknesses are. LR: Right. Now I think that’s awesome. You just said something that I thought was really, really fascinating you are talking about the rounded croup and being able to get the rear under and I think about the breeds for example a Spinoni has a 30-degree croup, right? So it’s designed to go up mountains. And I think this is just a fascinating discussion. When we as dog fanciers – whether we’re participating in conformation or in agility or in field events – knowing what our dogs were built to do and what specific structural components provide the ability for them to do. If that makes sense. JA: Right. It seems that some length of neck in agility dogs is also helpful and of course I don’t want to speak in absolutes because I’m not near experienced enough to be able to say that for sure and you see a lot of dogs that do amazing agility who maybe don’t have the longest necks. But you have to figure what is compensating because if something in the shoulder is out – if they can’t reach as far forward as they normally do – then they’ll compensate by arching their back which is why they make it tight in their back. So it’s all related. An interesting point, too, I’ll bring up … I happen to also have a Chinese Sharpei and she is the resident breed champion in our house. She was shown in breed when she was younger but she’s a little bit small for the breed standard and was not going to be a specials dog. Well, she’s a special dog to me just not out in the breed ring. But I knew the breeder and they were, “We don’t know what we’re going to do with her,” and I just said, “That dog is going to come live with me!” And that was that simple. I just knew she was my dog. I have really no idea why but there you go. She just was meant to be my dog and she happens to be a Chinese Sharpei. And what’s interesting is when I take her to dog shows – she does agility more recreationally than she does it competitively – but when I have her out and about at the agility trials people look at her and not every agility person has experience with structure and seeing and they go, “How does she move? How does she get over a jump,” and she’s actually probably the most balanced and perfectly put together dog I own – she just is in a Sharpei body not a Border Collie body. And when I meet conformation people they just look at her and go wow that is a nice moving dog. She really is. I mean you’ve got over 40lb dog and she’s only like 15″/16″ tall and not very big at all. And yet she moves beautifully. She can keep up with the Border Collies running she just can’t stop and turn the way that they can but she can do agility because she has phenomenal structure. It’s in a Sharpei body versus a Border Collie body so it doesn’t look the same. But there’s no way on earth that – I mean 40lbs is as much as my 20″ Border Collie weighs. And yet she moves like a dream and balance. LR: It’s the balance. I think that’s the thing is the balance and we have the same conversation in my breed – in a lot of the pointing breeds – talking about dogs that run in field trials, right? So they’re running in front of a horse, they’re covering 20 miles, and you take these dogs we look at them like, “OK this thing is stick straight front and rear, this is not pretty”. And then you start talking about things like heart and desire and … and all of those. And those, I know, have to come into play in your sport as well. JA: They definitely do because there are some dogs – and I’ve owned one, my very first Border Collie – there’s no rhyme or reason for how she did streak, I would say, number three. There is no real rhyme or reason for why she was able to do what she could. And yet she did it. JA: But at the same point that dog was injured early in her career and I spent as much money as a person could spend with the best people and we really couldn’t ever get her back to running agility without the risk of injury and so she had to retire. But for a long time you would have never known because she was one of the fastest ones out there. But it eventually caught up with her. So I think that’s really where things can happen. They can do it on heart and motivation and drive for a long time. But I think it then comes down to longevity. They can’t do that forever to their bodies. LR: Absolutely. OK well Jessica thank you so very much. Can you give us some quick ideas for people who are wanting to get started in agility. What should they be looking for in a breeder, in a breed? You mentioned earlier you can’t just buy a Border Collie to run agility because they do have special needs. JA: Sometimes I describe them as delicately wired upstairs <laughing> and when you meet a real stable one, that’s something. That’s something because they’re a little weird but we love them for it. So I think especially if you’re just getting involved in agility and if you already have a dog or a breed in mind I might try to find someone who has dogs of that breed who are doing agility and get their take – how they started, where their training and agility is a strong presence online right now and I think a very good resource is RunMyDogs.com and they’re a school of agility. That is what I happen to believe in and subscribe in and then they have a lot of instruction on agility and how dogs think and how to go about starting your dogs online. So that’s a very good resource. JA: My preferred way of finding a trainer is word of mouth. If you know someone who likes their trainer you can go and listen because unfortunately not all trainers are created equal. And I sometimes hear people who started somewhere and then it was like, “Well it wasn’t good and then I left,” and I’m like, “Good for you for not continuing doing something.” And if you’re going to a dog school, like when I started I just went to the one that was local that had something I could go to on a Friday night that my mom would let me go. And I don’t think there’s anything wrong with going it almost auditing a class. Go and watch. Go and see how they’re training the dogs. How the classes are run. Because before you put yourself and then your dog in a situation it would be really good to know what it’s like. 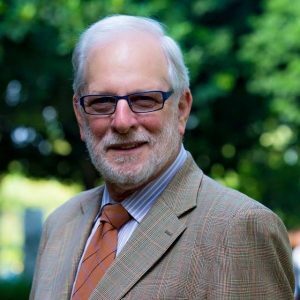 And an instructor should always be able to tell you why they’re doing something as well and feel free to ask the questions like, “Why are we doing this?” They should have the answers to those questions and if they don’t they should explain and it should be something that makes sense to you. I think sometimes people just start listening blindly to “the authority” in a way. But listen to your gut. You own your dog, you live with your dog all the time, and it really has to resonate with you. At least the thinkings that are being taught within the class. LR: Excellent. Thank you so much. Just spent a lot of fun. I very much enjoyed this and wish you the best of luck going forward in the future with Fame. LR: We will provide some links to some of the information you provided on our website. JA: Thank you so much it was a pleasure talking with you. LR: All right, Pure Dog Talk listeners. Thanks for joining us with Allison Foley from The Leading Edge Dog Show Academy. She has a tip of the week US about showing your dog’s bite. Because we don’t want the judges with their hands in our dogs’ mouths. <laughing> Welcome Allison. Allison Foley: Hi Laura how are you. LR: I’m great. How you doing. AF: Good thanks. <LR: Awesome> Yeah, so, I just wanted to talk about showing your dog’s bite. You know as you just mentioned, especially with the onset of the canine influenza, that has been a problem. And, you know, just sometimes it’s kennel cough around, we know that the judges’ associations were sent out a directive that whenever possible have the exhibitors show the bite to the judge. So on Leading Edge Dog Show Academy in our handling courses of course we covered this extensively. And you have a video on this as well that people can check out. LR: Absolutely. Even narrated by the Best In Show at Westminster Kennel Club winner Bill McFadden. AF: So it seems like a simple thing and you know, check out the video from Pure Dog Talk. But really just make sure that you know what that looks like and then keep your head out of the way. The judge can ask you to move a finger when showing dentition – because I always tend to fumble fingers and have a finger in the wrong position. They will ask you to move that finger but just get your head out of the way and point the dogs bite – the dog’s face – directly at the judge’s face when you’re doing that. LR: Absolutely. And in the video you’ll see one of my favorite tricks that I learned when I was showing a Sharpei … so, conceivably the most difficult breed to show a bite on <AF: I agree> … or Rottweilers – all of these – and I’d take that collar, and so when my right hand is under their jaw I have the slip color in my last three fingers, right? So it’s putting pressure gently against the back of the skull. So the dog can’t pull back and so that gives you that control so that your dog isn’t flailing and you’re not flailing and you can have that ability to lift the bite up and show it to the judge properly. AF: Yeah and I mean we cover that in our handling guide as well. But I think that’s a great step to just put out there because that is very important. You need to have control of your dog’s head or there is no way you can show the bite and the judge can see the bite with any kind of efficiency. LR: Exactly. And in case anybody was wondering you have “The Leading Edge Dog Show Academy/Pure Dog Talk 25”, if you’d like a 25% discount on one of your classes from Allison we can help you out with that. Buy a cup of coffee on us, and I know Allison you also have your actual free guides, right, that people are available to download? AF: Yeah we have our complete beginners guide to handling. It’s an e-book and you can find it on Facebook. If not you could message me or message me through Pure Dog Talk. And I’m happy to get you a copy of that. LR: Perfect. Thank you so much Allison. We really appreciate your time. The dog shows Superintendents Association is a proud supporter of Pure Dog Talk. Our dog show superintendents are the hard-working people who make the dog show function. They are advocates for education and mentorship in the purebred dog fancy. So stop by the Supers desk at your show. Tell them how much you love Pure Dog Talk and give them a shout out for their support. That’s all for today. Thank you for joining us on Pure Dog Talk.